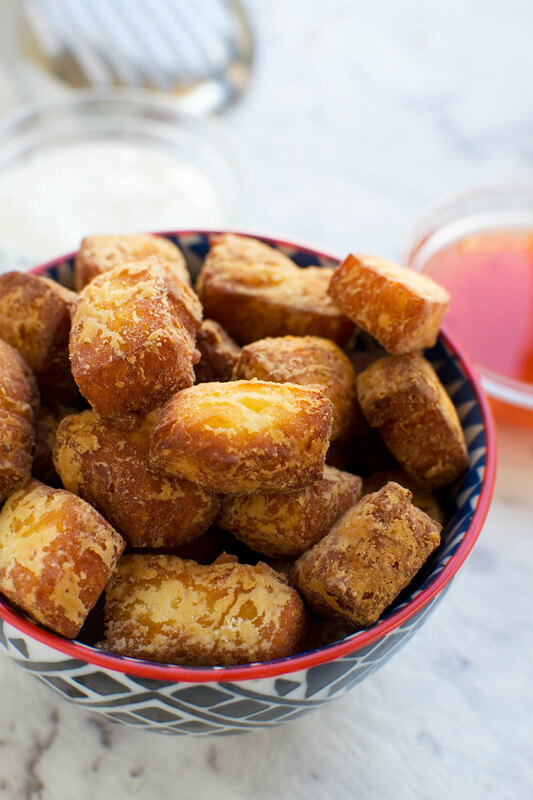 Everyone loves these fried halloumi bites. Perfect for fans of easy entertaining, they’re virtually life-changing! Greetings from the queen of fried halloumi! I’ve been making these crispy halloumi fries for a long time now, and they never fail to impress. I’m the queen of halloumi fries! 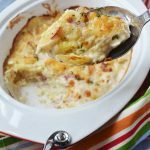 They’re always a crowd pleaser – loved by kids and adults alike – and make a fabulous super easy appetizer. It came to me a while ago that I should try making some crispy halloumi bites instead. But when a friend I served the halloumi fries to suggested it too I knew I just HAD to make them. Essentially they are exactly the same as halloumi fries. 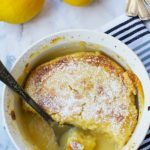 They’re JUST as delicious, and will be JUST as popular, but they perhaps lend themselves a little more to being passed around at parties. Or to a whole bowl being snacked on all by yourself in front of Netflix. These fried halloumi bites are another one of those recipes that you can hardly even call a recipe. But what IS halloumi cheese? If you haven’t tried halloumi cheese yet you’re truly missing out. It’s a salty, hard white cheese exclusively from the island of Cyprus. It can be made of sheep’s milk, goat’s milk or regular cow’s milk, or even a mixture. 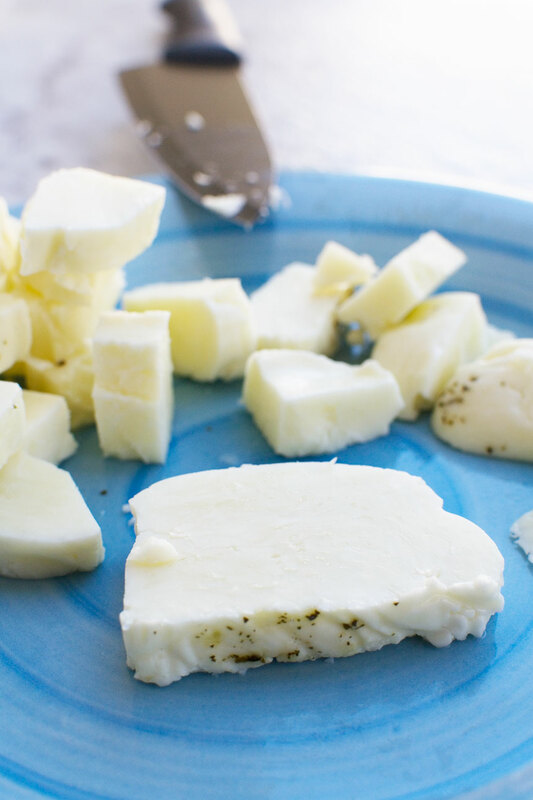 Halloumi is kind of mild tasting, a bit like mozzarella, and with a similar consistency… it’s just saltier. It also reminds me of fried tofu, but personally I like halloumi much better! You usually buy it in a packet in a kind of rough log shape. You’ll see that it’s in a bit of liquid and has a bit of fresh mint running through it, although I’ve never tasted the mint in the cheese. 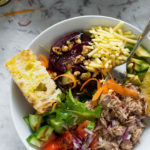 You’ll find that the cheese can be a bit fragile when you cut into it, but it really doesn’t matter if it breaks a bit while you’re cutting it into little bites. Also, don’t worry that the cheese is a bit wet when you take it out of the packet. All the better for getting the flour to stick to it for a super crispy crust! What is the best way to cook halloumi? It’s perfectly possible to eat halloumi raw, straight out of the packet, but I’ve never eaten it this way. Because halloumi cheese has a high melting point, it’s perfect for cooking. 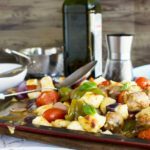 Most people pan fry halloumi cheese and eat it hot, maybe added to a salad or perhaps threaded onto skewers like in this halloumi, chorizo and tomato skewers with honey lime dressing recipe. Pan fried halloumi is delicious too, but the VERY BEST way to eat halloumi cheese, in my very humble opinion, is to roll it in flour while it’s still wet, then deep fry until it’s super crispy. 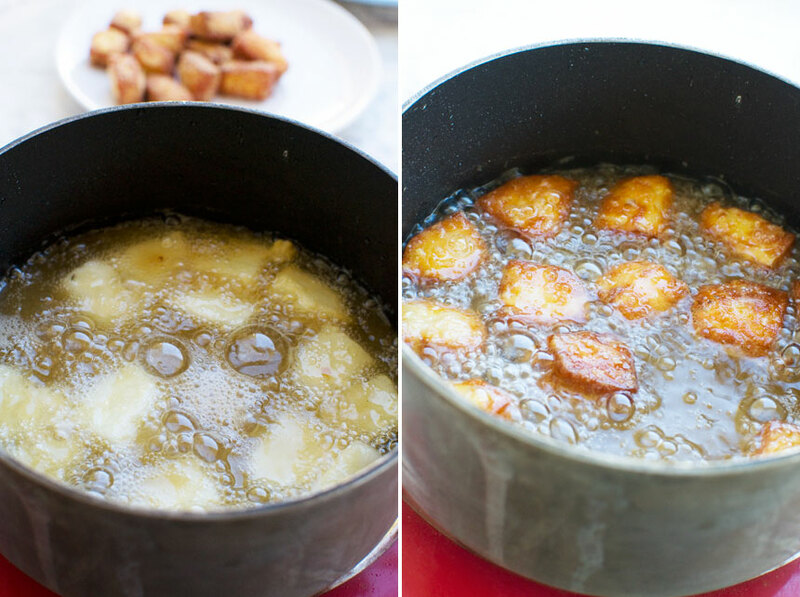 How do you make fried halloumi? So when I say deep fry, I only put an inch or so of oil in a small to medium sized saucepan. If I need to flip the halloumi over part way through cooking I do so. This way you don’t have loads of yucky oil left over to get rid of after cooking. Fry in a little oil until deep golden and VERY crispy! 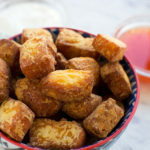 These crispy halloumi bites are wonderful served just as they are, fresh out of the hot oil, but I usually serve them with a bowl of sweet chili dipping sauce on the side. Sometimes I even add a bowl of Greek yogurt too. Anything with a bit of sweetness is a great contrast to the saltiness of the halloumi cheese. Now come on. Really. 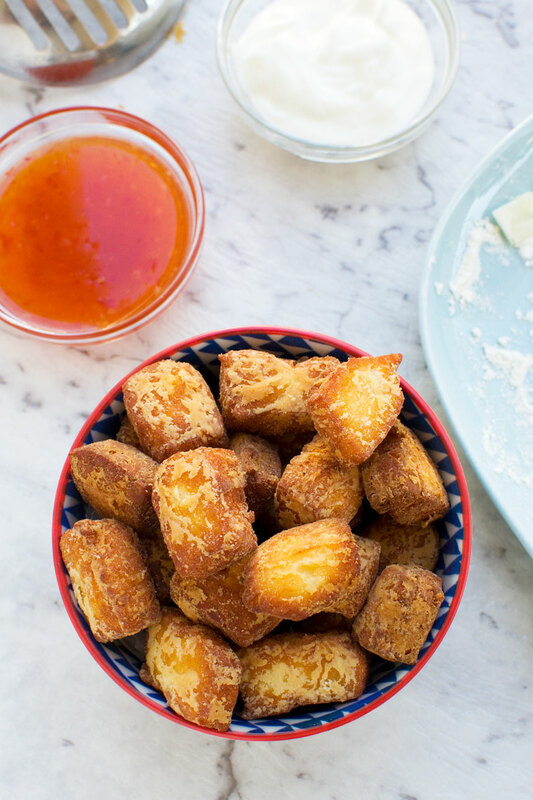 How can these fried halloumi bites be life-changing? I don’t use the word life-changing to describe this fried halloumi recipe lightly! Now that I have this recipe up my sleeve, I always have something to make as a simple appetizer for guests. and everyone seems to love them – especially children! They’re also fantastic for sprinkling over the top of a salad. I like to add them to a simple salad of green leaves, onion, avocado, cherry tomatoes and a lemon olive oil dressing. Make simple tacos with them, just like you would with tofu! I’m sure there are other options too, and I’ll add them to this list each time I think of something new. 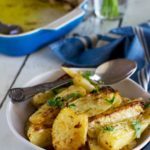 After you’ve tasted these halloumi fries and fried halloumi bites, you’ll be addicted to halloumi, so here are some of my other halloumi recipes. I hope you try them all! These crispy halloumi burgers make for a delicious vegetarian 15 minute meal! I can’t get enough of this tomato, avocado and corn salad with crispy halloumi! 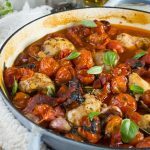 Please scroll down to the recipe to watch the handy how-to video. This video will also show you how to make halloumi fries. The process is exactly the same, and so just as easy! 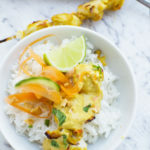 I use a slotted spoon like this one (affiliate link) to fish my fried halloumi bites out of the oil! Make these addictive fried halloumi bites with just 3 ingredients – halloumi cheese, flour, and oil. They’re such a quick and easy appetizer, and never fail to impress! Cut the halloumi cheese into cubes about 1 inch square (exact size doesn’t matter though). Spread the flour out on a plate and roll the halloumi cubes in it while they’re still wet. Heat up the oil in a medium saucepan until the end of the halloumi sizzles when dipped into it. Then, carefully lower the halloumi bites into the oil. Fry for 2 to 3 minutes on each side or until deep golden and crunchy-looking (you might have to do this in 2 or more batches). 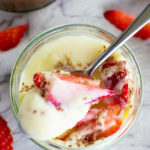 Lift the bites out of the oil with a slotted metal spoon, and serve in bowls with sweet chili sauce and Greek yoghurt (if you like). 1 regular sized ‘log’ of halloumi cheese makes enough of these delicious bites to serve 4 to 5 as a light appetizer or amuse bouche. 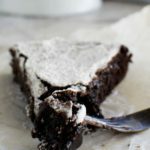 Make another batch if you think your guests will want more than a few each! I’ve stated in the recipe to cut the halloumi into 1 inch squares, but the exact size really doesn’t matter. Just cut them to the size you think you might like them! 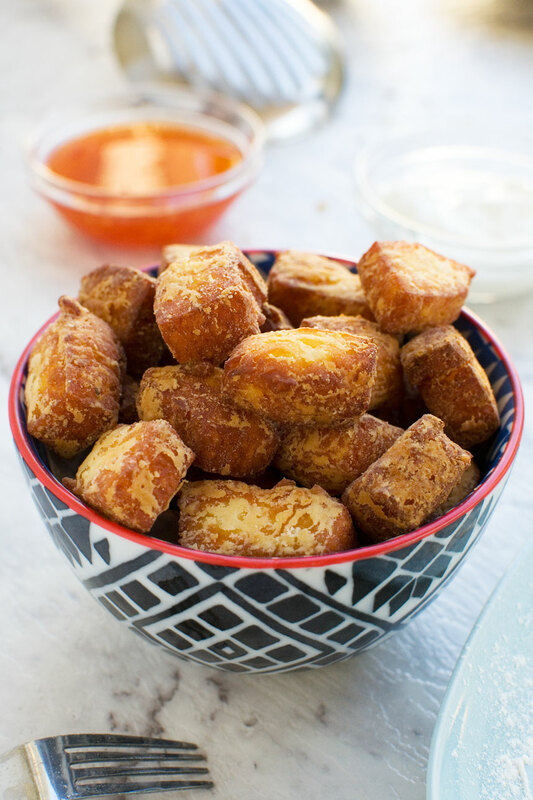 For the best ‘crunch factor’, these fried halloumi bites should look like slightly overcooked fries. This way, they should stay crunchy for quite a while, even when fully cooled. If you prefer, make halloumi fries instead. The method is exactly the same as you see in the video in this post. Just cut the halloumi into fry shapes instead. Ha, me too!!! I literally could eat it all day long! Ooooh these sound amazing. 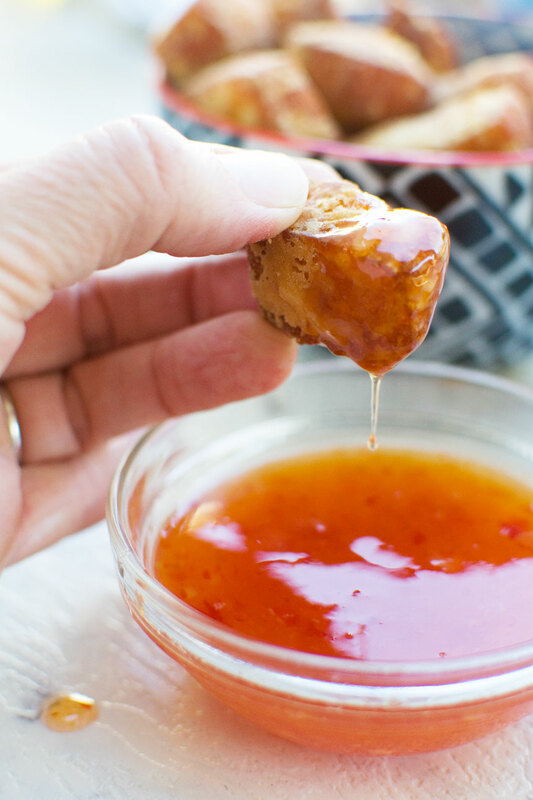 Halloumi is so tasty so sounds delicious in these bites – especially with sweet chilli for dunking! THANK YOU! I really hope you try them some time, Kate! 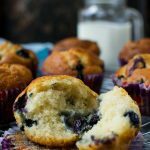 These do look totally life changing!! The color of your fried halloumi is spectacular, and I can’t believe how easy these are to make. I’m excited to try them. Thanks for the recipe. Thank you so much! I get excited about these every time I make them, so I’m so glad I got you excited about them too! I’ve never thought of trying coconut oil before. Thanks for reporting back, Darlene – so glad you enjoyed this recipe!